Cast your screen to TV! - Use a Wifi ac router. If you don't have one, then an "n" router. Very simple to use, works similar to bluetooth where you just turn it on/off. I have a MacBook Air and it mirrors over to my old (about 6 years old) Samsung TV perfectly. Their support team responded to my inquiries within 24 hours. The app costs $9.99 which is way more cost efficient then having to go buy an adapter of some sort. FYI, Netflix will NOT mirror over if you're streaming via the Safari browser. Their support team advised me the work-around is to stream it via the Chrome or Firefox browsers. So far, I've been able to mirror everything else just fine through Safari, it's just Netflix that I have to use Chrome or Firefox. There is also a little bit of a lag if you're comparing your TV to what you're mirroring, but I suppose that's expected and why would you be watching two different screens anyhow? Also, if anyone from their support team tells you to pre-record things from Netflix on your device first before mirroring to your TV, please disregard that advice. 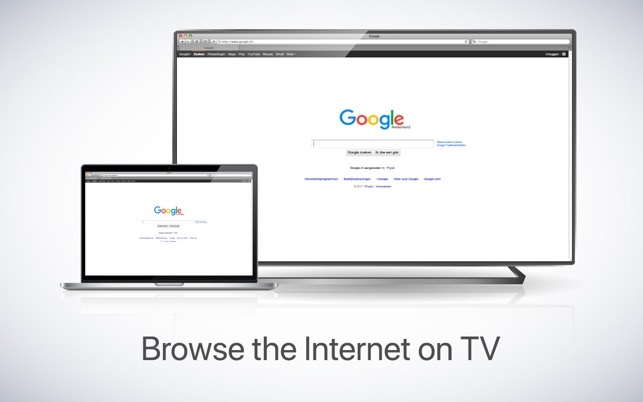 When streaming from Netflix, it's musch easier to use Crome or Firefox. Would it be possible to incorporate a "lock screen" feature where we can choose to mirror only what's on that webpage/browser? If possible, it would allow end users to do other things on their device while still mirroring. Thanks for taking the time to review us and to provide this elaborate information. The feature request is suggested is already available in the app. In the app, you will see an option called 'Source'. Under this option, choose the window you want to mirror (It could be VLC or Chrome browser) and only that window will mirror to TV. This way you could still use your Mac for working. Please contact us if you want to know more on how to do this :) Thanks! Worked great 1st time and I’ve been using it for about a year with no issues. It would be nice if the developer could add support for more audio and video codecs is my only suggestion for improvement. I noticed /thought it was broken after using it for a week or two when it wouldn’t play a video file. The support is on their facebook page which seemed odd, but they responded pretty quickly to my facebook messenger and told me the problem which was that my particular video file was not supported. The tech support was very helpful and I’ve been using it with no issue since. There is a 5 second delay even when reducing it down to 720p. This is on a very unburdened enterprise router and AP. In fact at the time I was attempting to use this product I was the only one using it. It seems to be creating a video of my screen which I am assuming the encoding of that is what takes the delay not the network. Anyway to be clear this does not work as well as a Miracast or an Airplay through Apple TV. 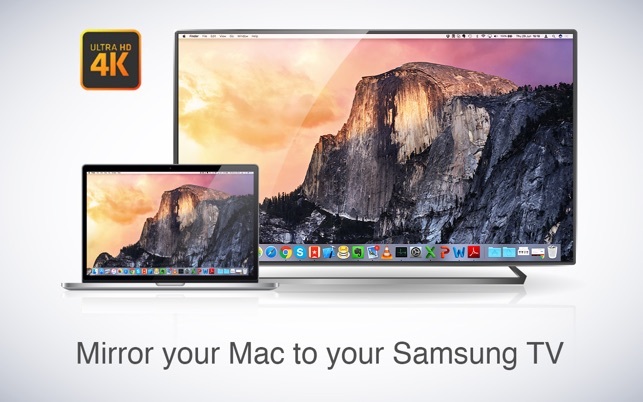 You cannot use the mirror as a second screen (extend desktop) as you can with some products. 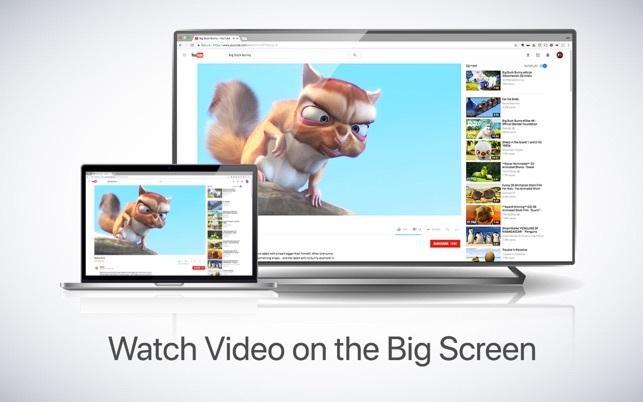 Miracast with PC allows that and a true airplay mirror will allow that as well. I guess I just expected more. Wasted $10 on it but oh well. You’d be better off putting the $10 toward and apple TV. If you just want to mirror like this then if your Samsung TV supports Steam Link just use that. It has very little lag (Steam Link). 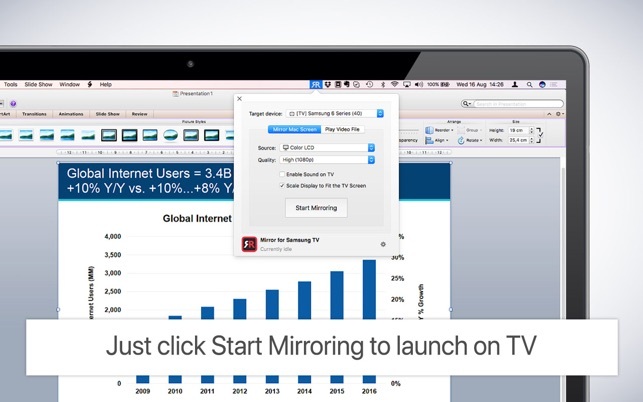 You can mirror your second screen using our app as well. You will have to just choose the Source that you will want to mirror to your other TV. This acts as an extension and allows you to mirror the other window to your TV. As for the latency, it is usually between 1 - 3 seconds. However, we are working towards reducing it to less than half a second. We will reach out to you with the good news soon! If you have any other questions, please contact us either via email (support@airbeam.tv), Facebook Messenger or through ‘send diagnostic information’ from the app. Our support team is available 24/7 and would be glad to help you get connected. Thanks!